World record marathon champion Paula Radcliffe has described Oman’s Al Mouj Muscat Marathon as a ‘must-do’ event which can blaze a new trail in the Middle East. Speaking near the end of a five-day visit to Oman, Radcliffe said the 2019 edition of the now established international event had earned its place on any marathon runner’s bucket list. “It is absolutely a must-do event – I think it is one of those that people will have to tick off,” said the iconic British athlete, who is the international ambassador for the marathon’s eighth edition. The former marathon, half-marathon and cross-country world champion – whose 2003 women’s world record marathon time of 2:15:25 is still unbroken – took on the ambassadorial role with the aim of encouraging greater participation by runners from both Oman and the wider worldwide athletic community, particularly women. Radcliffe during a fun run with 168 kids in Oman. During her visit Radcliffe spent time in Muscat, stayed at the Alila Jebel Akhdar Hotel in the breathtaking Al Hajar mountain range, went on a diving trip to the internationally acclaimed Damaniyat Islands, ran with members of the Muscat Road Runners, the marathon’s original organisers, and had a fun run with 168 kids representing seven schools. She admitted: “Before I came here I just did not realise how much Oman has to offer. There is the weather of course, and the sea, but also the mountains and architecture all coming together that makes it somewhere very special to visit. Radcliffe will return to Oman next year to introduce and flag-off the start of the Al Mouj Muscat Marathon itself, and then take part in the 10k event. Alongside the marathon and 10k races, the two-day festival of running will also feature half-marathon and marathon relay categories on Friday, January 18, and a 5k charity fun run and a Kids’ Run the following day. “We have been delighted to welcome Paula to Oman,” said Salma Al Hashmi, chief marketing officer of marathon organisers Oman Sail. 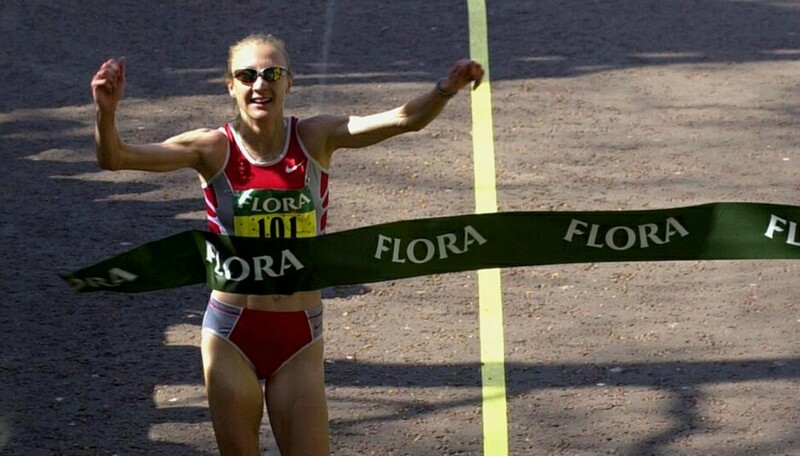 Radcliffe setting the Marathon world record in London in 2003. The Al Mouj Muscat Marathon has seen runner records broken every year since it was first held in 2012. More than 6,000 runners from 87 nations took part this year across all the categories, with organisers Oman Sail aiming for a further dramatic increase in 2019. Radcliffe retired from competitive running in 2015 having won both the London and New York marathons three times. She was the IAAF World Athlete of the Year in 2002, the AIMS World Athlete of the Year in 2002, 2003 and 2005, and the 2002 BBC Sports Personality of the Year. She was awarded the MBE in 2002. Good morning! 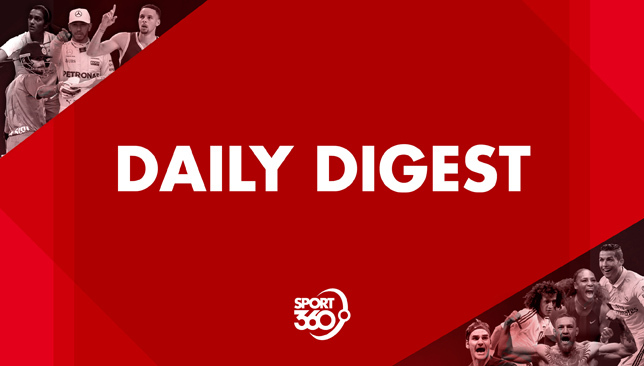 The Sport360 Team is in place to bring you our top stories on Wednesday morning. 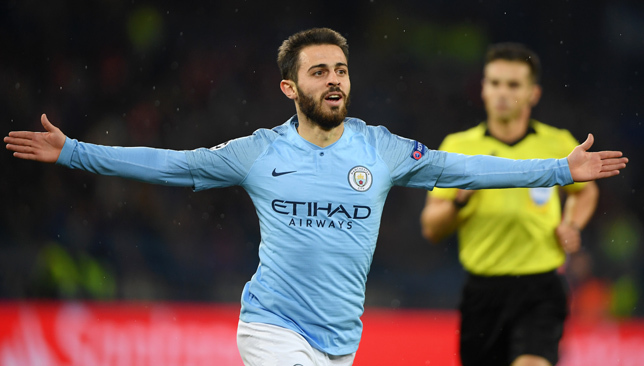 Bernardo Silva believes Manchester City winning the Premier League title this season would be a bigger achievement than their record-breaking 2017-18 success. City returned to the top of the pile after a 1-0 win at Tottenham on Monday night, going back above Liverpool on goal difference. It was their eighth win from 10 games and their sixth clean sheet on the bounce and they again appear to be the team to beat, but Silva feels it is much tougher for them this year. Wayne Rooney feels some Manchester United players must do more in a bid to help get the season back on track for Jose Mourinho’s squad. The Red Devils find themselves in eighth place in the Premier League after Sunday’s 2-1 win over Everton. 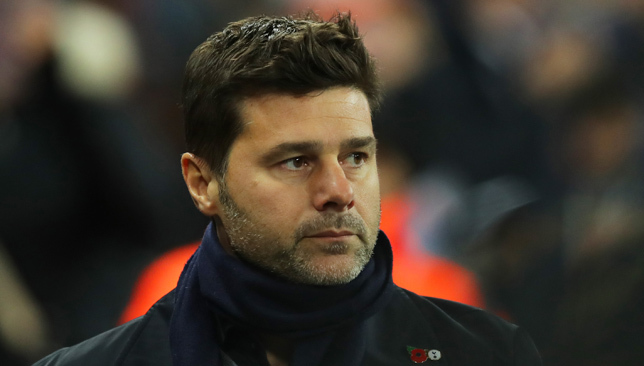 Elsewhere, Tottenham manager Mauricio Pochettino is not prepared to risk the well-being of his squad in pursuit of silverware. Spurs return to action in the Carabao Cup at West Ham tonight, just 24 hours after their 1-0 Premier League defeat to Manchester City on Monday. Tottenham’s fixture congestion is of their own making, as delays to their new stadium and the arrangement of the NFL game meant they had to shoehorn the City game in so close to EFL Cup duty. An alarmed Sourav Ganguly has shot a letter to the BCCI expressing his fears at the state of Indian cricket administration at the moment. The former India skipper, who now leads the Cricket Association of Bengal (CAB), voiced his fears at the ‘appalling’ manner in which cricket was being administered in the country, according to his letter published in a report by ESPNcricinfo. 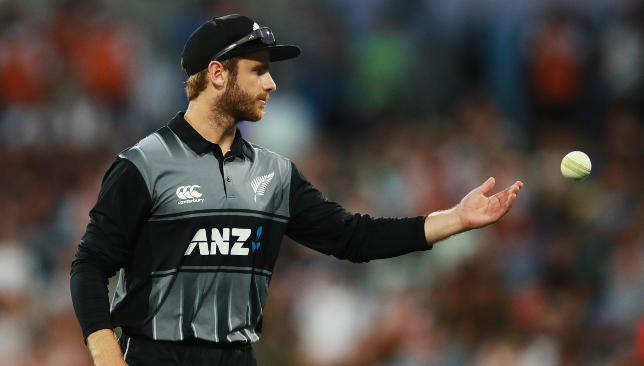 Elsewhere, New Zealand skipper Kane Williamson will be hoping his men can dust off the cobwebs when they take on Pakistan in the first T20 of the three-match series at Abu Dhabi on Wednesday. The Blackcaps have not played any international cricket since the completion of the Test series against England at the start of April this year. 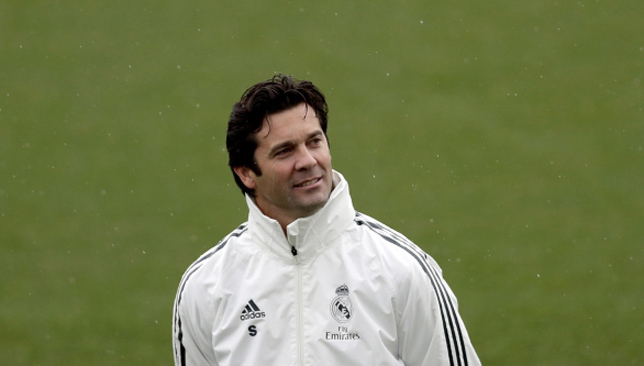 We take a look at the key areas that Santiago Solari needs to attend to at Real Madrid. Good morning! The Sport360 Team is in place to bring you our top stories on Tuesday morning. 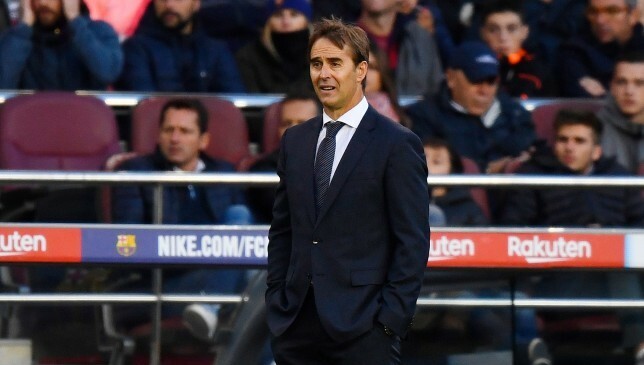 Real Madrid have sacked manager Julen Lopetegui after just 14 games in charge. The club’s board took action following the 5-1 defeat to Barcelona at the Nou Camp. Sunday’s defeat leaves the club ninth in La Liga, seven points behind leaders Barcelona. Early candidates to replace Lopetegui include former Chelsea manager Antonio Conte. Santiago Solari has been placed in temporary charge of the team with his first game coming in the Copa del Rey with Melilla on Wednesday. 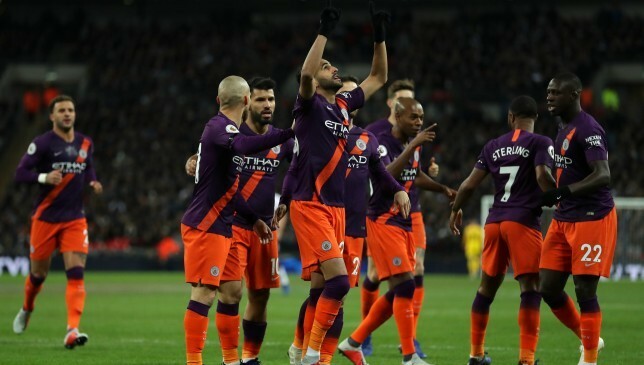 Manchester City ploughed their way through a sticky Wembley pitch and back to the top of the Premier League with a 1-0 win over Tottenham. The playing surface at the national stadium was in a poor condition due to Sunday’s NFL game between the Jacksonville Jaguars and the Philadelphia Eagles but that did not bother City as Riyad Mahrez’s sixth-minute goal proved enough. Still, it was an eighth win from 10 Premier League games this season and they leapfrog Liverpool at the summit on goal difference. Elsewhere, Cristiano Ronaldo has opened up about his decision to leave Real Madrid in the summer to join Serie A giants Juventus in a high-profile move. The 33-year-old explained the role played by Los Blancos president Florentino Perez in influencing his decision to leave in an interview with France Football magazine. 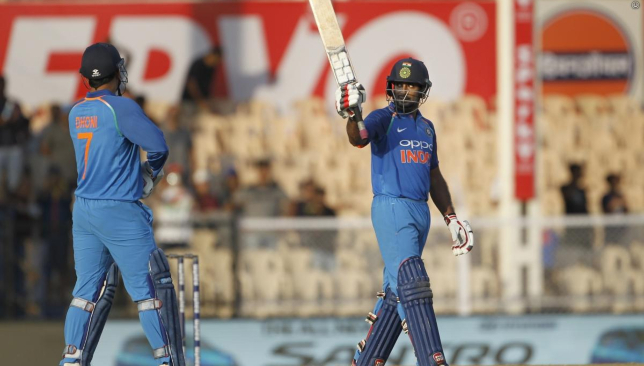 India bounced back from their 43-run loss at Pune in style to thump the West Indies by 224 run in the fourth ODI at Mumbai yesterday. 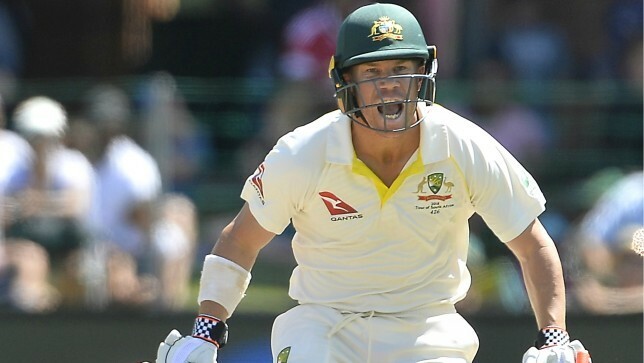 Batting first, the hosts had posted a mammoth 377-5 in their 50 overs before their bowlers bundled out the visitors for just 153 runs despite a battling half-century from skipper Jason Holder. As the hosts take a 2-1 lead in the five-match series, read our key talking points from Mumbai.